Search Engine Success - A Case For Working Together! Here is a real success story of the work we do, and the software we use, when we work together with a client who is passionate about their business. In fact, we ourselves are astonished just how successful this has been - these are search engine listings for FREE for which other companies pay hundreds, if not thousands of advertising dollars, and our results are right here for all to see. You gotta take a look at this, it's awesome! 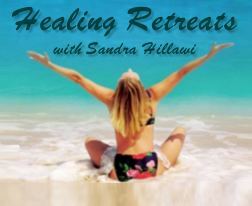 The client, Sandra Hillawi, was looking to increase her healing retreats business which is a particularly enjoyable aspect of her work. Healing retreats do not come cheaply and we have to find paying customers who will invest a significant amount of money and trust in their retreats provider. But the first contact is of the essence, and to be found is the most important thing there is on the web. LWD helped this client refine the way their site was organised to maximise the effectiveness of their main keyword, healing retreats. This client then went to work and applied what they had learned diligently, and this is the result. Awesome, considering this domain is not even one year old! has no PR (page ranking), not many links beyond the network links that come with SpaceNodes, and this was accomplished by two ladies without major effort. 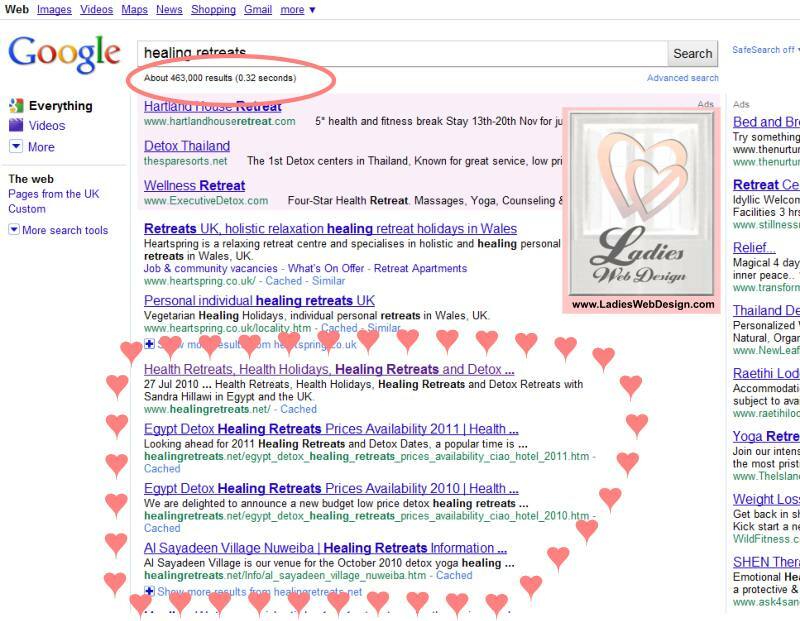 http://healingretreats.net is on the FIRST page, number 5 out of 7 million results! Wow! 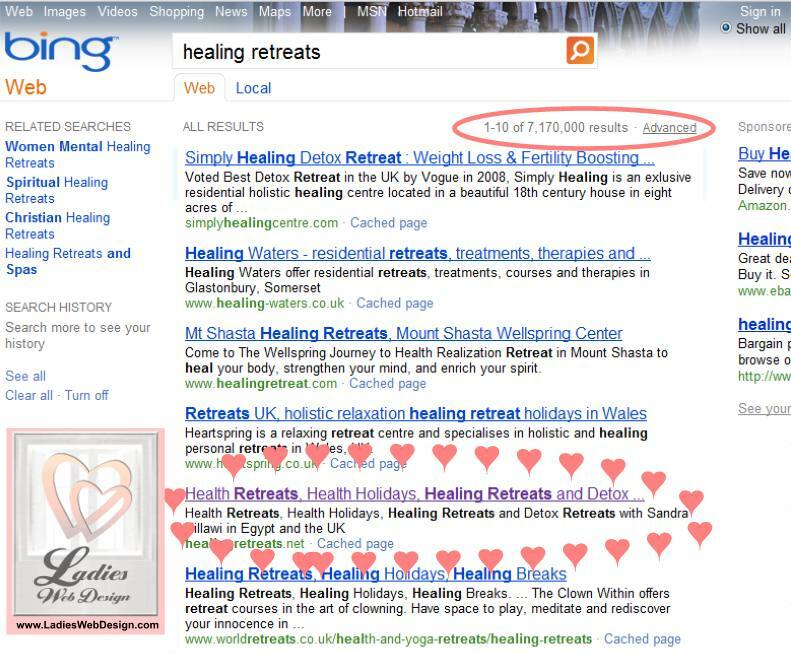 http://healingretreats.net is on the FIRST page, number 3 out of half a million approx.! And look at all those ads on that page, people are paying A FORTUNE every week for those, our ranking is free! 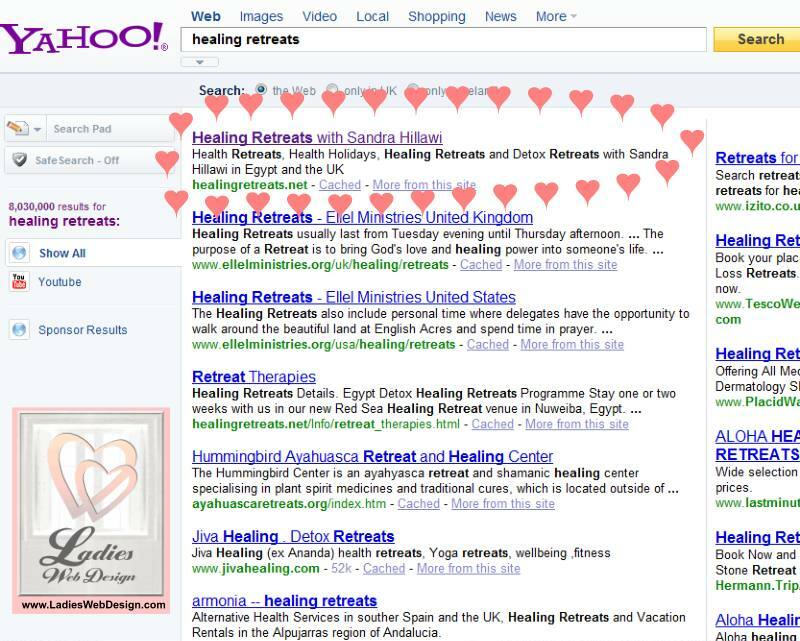 http://healingretreats.net is on the FIRST page, and it is NUMBER ONE! Can you tell how proud and delighted we are here at LWD for our client's achievement? That's because we really are proud and delighted - this is a big part of the reason why we do what we do. Webwork is really exciting when it becomes successful. We would like to make the note that we are not miracle workers, and we can't promise you that we can your site onto the first page of these search engines overnight. But when we work together - with your knowledge of your customers and your markets, and our expertise in SEO Search Engine Optimisation, plus the advanced software we use, we really CAN make things happen and get REAL VISITORS to YOUR site, too. Outstanding effort - well done to all concerned!